Hello! 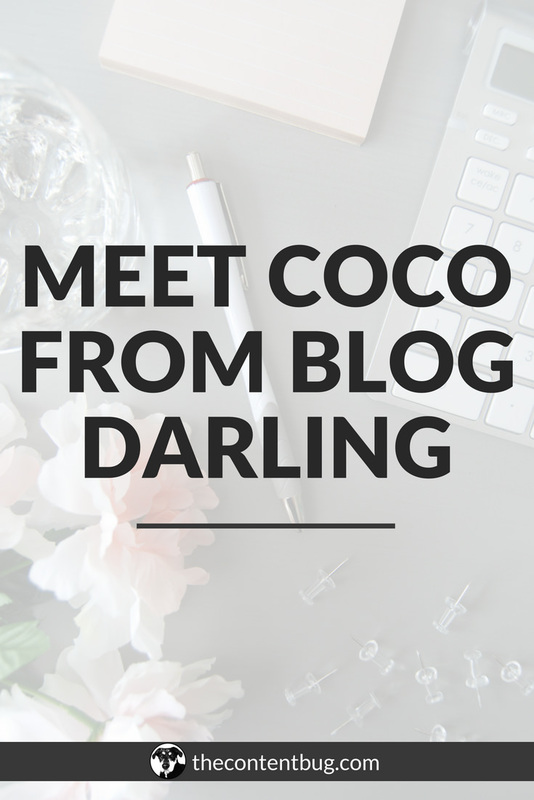 My name is Coco and I blog over at Blog Darling. 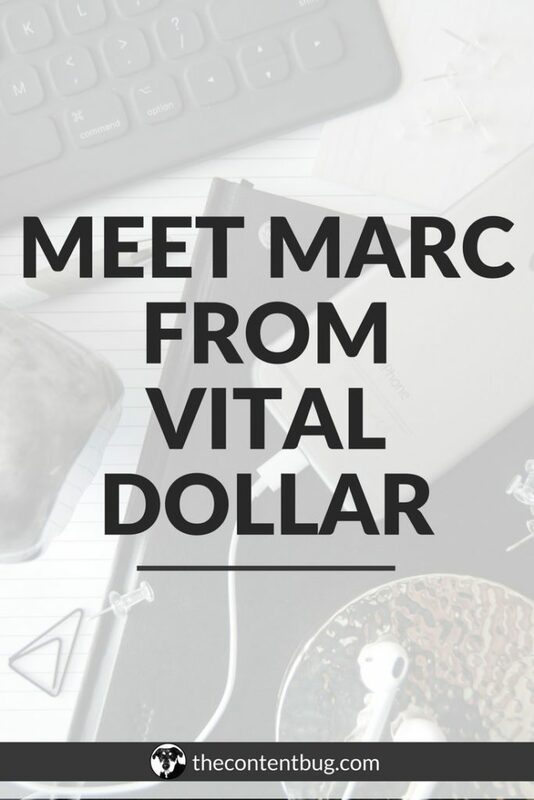 On my site, I write about blogging, social media, and blog monetization strategies. My main goal is to help others turn their blog into a profitable business. 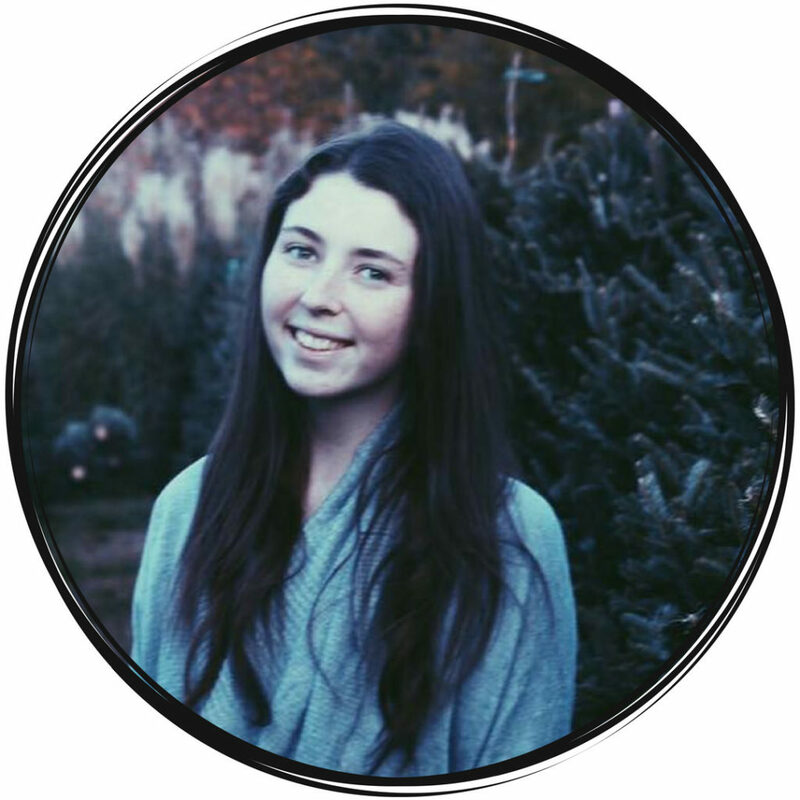 I am very transparent and love to share everything that I am learning about blogging along the way! I had wanted to start a blog for a while because I love to write and I love to read other blogs – mainly travel bloggers. After months of research, I finally launched my own travel blog. However, I quickly realized that while I love to travel, I don’t love writing about it as much! So that blog was pretty short-lived. I had spent a ton of time researching how to blog, ways to make money blogging, etc. 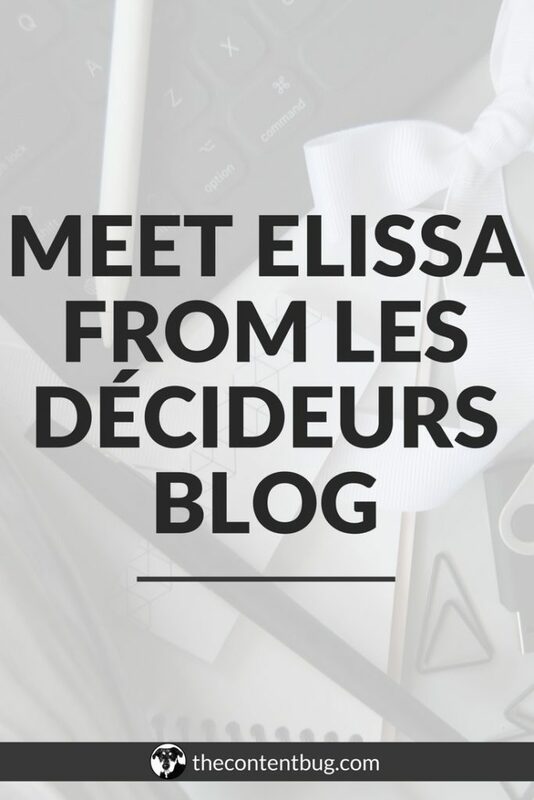 in preparation for my travel blog, and I finally realized that I was much more interested in that aspect of blogging… so I decided to start a blog about blogging instead! How did you come up with the name Blog Darling? 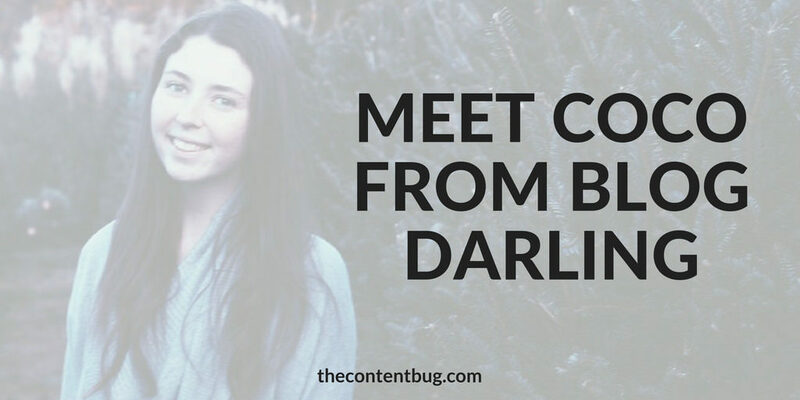 I was just playing around with name ideas, and I settled on Blog Darling because it’s short and sweet, and I felt that it fit in with the branding I was going for. I love all things pretty, pink, and girly (which you can probably tell from my blog) so it was the perfect fit! How long have you been in the blogging world? I started Blog Darling last September, so about nine months now! What was your biggest struggle when you were getting started? The biggest struggle I faced when I was first getting started was overwhelm. There was just so much to learn about blogging, and for some reason, I felt like I had to rush to learn it all! 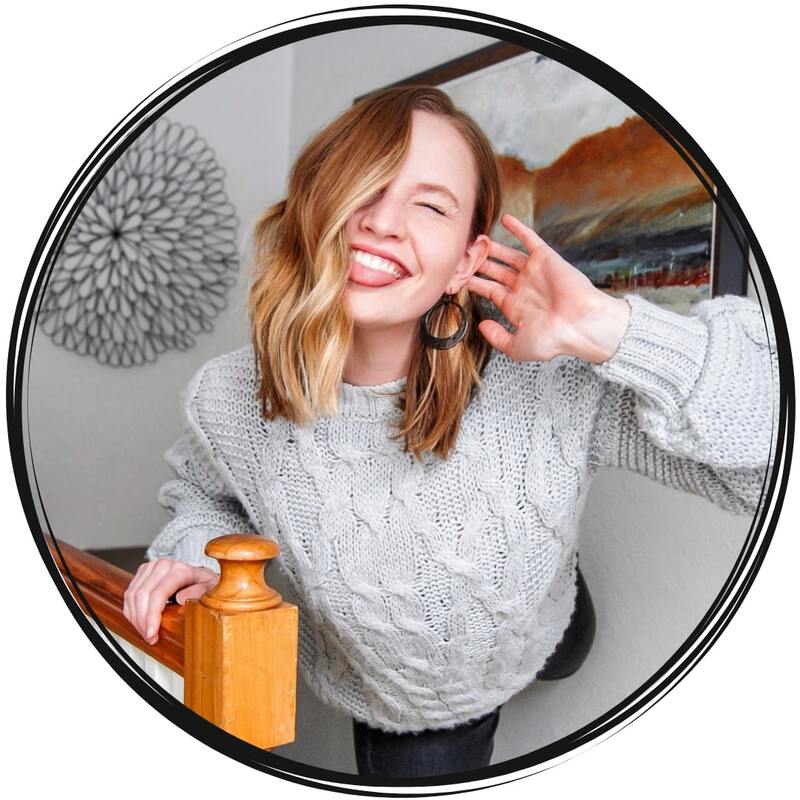 My issue was that I was comparing myself to other bloggers who had already been at it for a few years, and I felt like I needed to “catch up” so I could be successful like them. Once I realized that blogging was not a race and that it takes time to grow your blog, I felt a lot less stressed. The most rewarding part of blogging is definitely getting emails or comments from my readers saying that I have helped them with blogging or inspired them to start a blog! As you continue to grow with your blog, what was one of the biggest learning curves you faced? 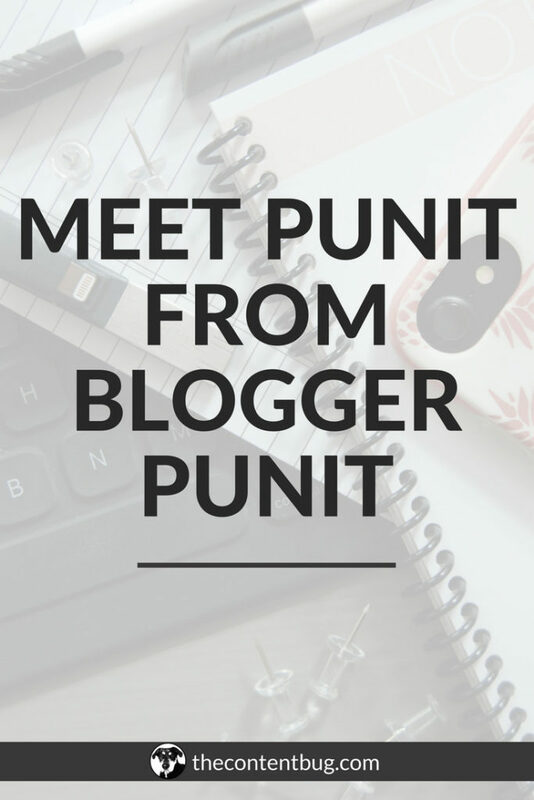 The promotional/marketing aspect of blogging has definitely been a huge learning curve for me to overcome! When I first started blogging, I didn’t realize how much went into it. I kind of thought blogging was just writing a post and then hitting publish! But that’s just a tiny part of it. I have definitely developed some new skills since starting my blog: email marketing, sales funnels, social media marketing, SEO, and more. I think the major takeaway is that if you want to run a blog, you need to be prepared to learn some new skills. There are a lot of great resources and tutorials for bloggers out there, so my best advice is just to dive in and learn as you go! What has helped you the most to continue to grow your blog? Pinterest! I get about 80% of my blog traffic from Pinterest and I think it’s a platform that all new bloggers should be using. I always thought Pinterest was just for crafts and recipes, but that’s not the case at all. Almost any blog niche can find success on Pinterest, and the great thing about it is that you can start driving traffic to your blog from Pinterest almost immediately. One other thing I like about Pinterest is that it’s more of a “buying audience” than other platforms like Facebook or Instagram. According to Pinterest, 92% of their users use the platform to plan for purchases, while 52% will make an online purchase after seeing an item on Pinterest. 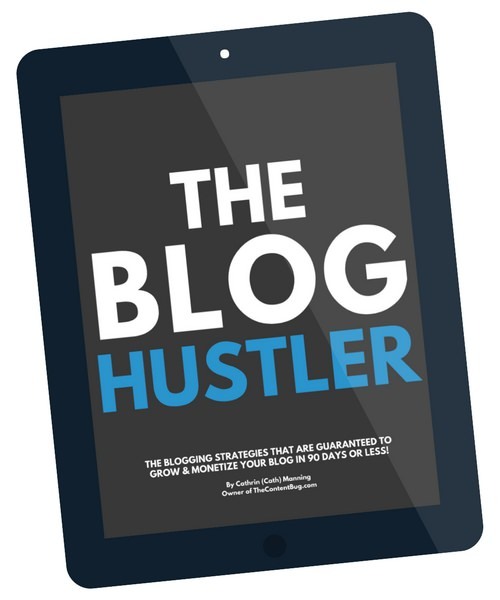 So it’s a good platform for bloggers to focus on if they are trying to monetize their blog! What was the best piece of advice you’ve received when it comes to blogging, following your passion, or starting your own business? The best advice I’ve gotten about starting a blog is to just jump in and learn as you go! I let my perfectionism get in the way when I first started. I didn’t want to launch my blog until the design looked just right, or publish a post unless it was 100% perfect. Your blog WILL change and evolve as you go, and that’s totally normal! Just don’t let the fear of not being perfect hold you back from starting. What is the one thing that you’re most proud of that you accomplished with your blog to date? I’m really proud that I am able to make over $1,000 a month from my blog as a new blogger. Since I am a college student, it’s amazing to be able to earn some extra money in my free time by doing something that I love! I’m not sure yet. I already feel pretty successful with my blog (making any amount of monthly profit is a success in my book!) but I’m excited to see it grow. Just go for it! I kind of touched on this earlier, but don’t let the fear of getting started hold you back from following your passion. When I think about how far I have come with my blog in the past nine months, I sometimes wonder what it would be like if I had kept on putting it off or waiting for the “right time” to start. I’m so glad I took the plunge and just started! When you aren’t working, what do you like to do for fun? What makes you truly happy? When I’m not working on my blog or busy with school, I love to travel! As I mentioned earlier, the whole reason I got into blogging was from reading travel blogs… My secret dream is to actually start my own successful travel blog one day! “Outliers” by Malcolm Gladwell. It’s a really interesting look at what makes people successful. One of my favorite parts of the book “Outliers” is a study showing that it takes 10,000 hours of practice for someone to become an expert in their field. Everyone from The Beatles to Bill Gates got in 10,000 of practice perfecting their craft. According to that study, the elite are not more naturally talented than anybody else… they just spent more time practicing! Coco is a blogger who writes about blogging tips and monetization strategies at www.blogdarling.co.